This photo was taken by Bob Perkins a million years ago when Bob, Richard, and I were taking a tour of the basement restaurant area at the Umeda Sky Building. Which just happens to take the early Meiji period as its theme. Hence our outstanding outfits. 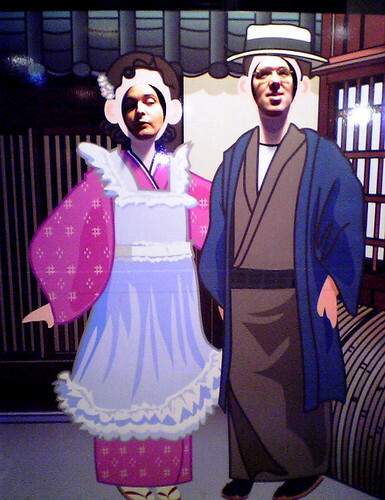 Actually, I think that Richard looks quite handsome decked out in a yukata and a giant hat.